We conceded further ground to the title chasers at Drumchapel today. Despite our efforts and hard work to keep up the chase, defeat today certainly has put a massive dent on our title credentials. It was a close game, but a resolute Drumchapel kept plugging away. Half way through the first half they broke through. We lost possession just outside the penalty area and the loose ball was poked in from close range. We kicked on, stayed calm and lifted our game. 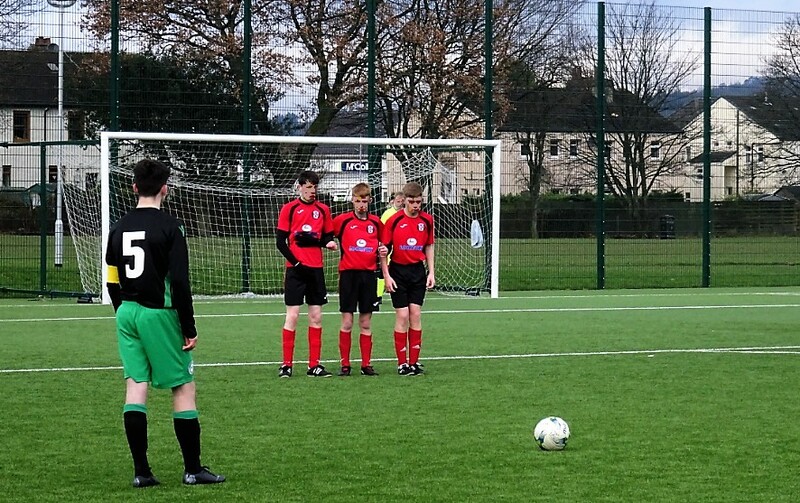 With ten minutes to half time Mairtin earned himself a free kick. Beau stepped up and with a great high ball managed to beat the keeper with the ball dropping into the net just under the bar. We went to the break all square. At the restart we lost Dylan to a hamstring injury. It was a big blow for us. Anybody’s game! A magical feint by Mairtin disposed of his marker and then delivered a great ball for Ricky to head in at the near post. Things were looking up for periods of time. However, the curse of the last ten minutes would strike again. A defensive clearance rebounded off a player and went into the net. This was followed by another unfortunate clearance attempt that rolled all the way into the far corner. And so that’s how we lost the game today. Drumchapel were deserving winners. As for us we will continue to rue those mistakes, and the last ten minute curse….. It is with regret however that some unpleasantness was hurled at one of our kids at the end of the game. 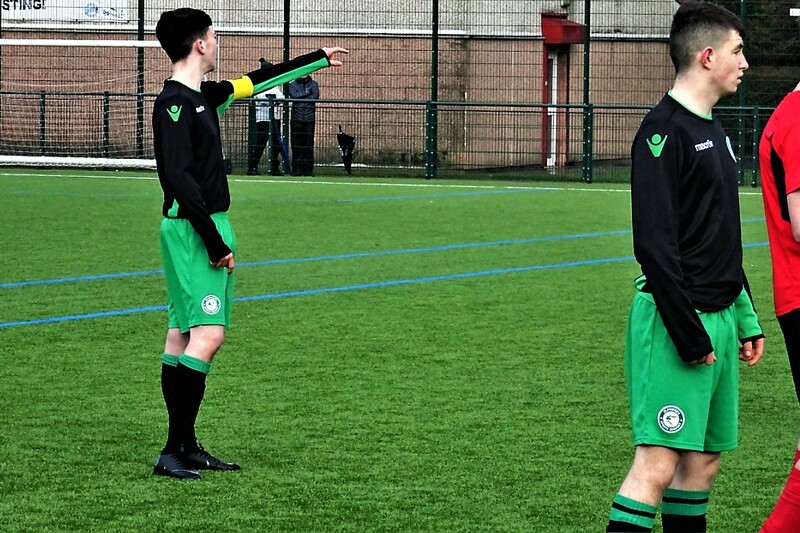 This may not have taken the shine off the local team’s great victory, but it certainly is with disgust that we are taking the unprecedented step of condemning such behaviour from adults who should know better. No child should be subjected to any verbal abuse whatsoever, especially from grown ups watching their game. It’s unacceptable, deeply regrettable and will never be tolerated. Regardless of justification a child is a child whether they are yours or others’. It was unprovoked, unwarranted and simply wrong. This type of behaviour is unacceptable at our club and we hope that other clubs across the country ensure that children are protected from unacceptable behaviour from adults at kids’ games. No Replies to "Drumchapel Amateurs Vs St. Patrick’s – 2004"